Jacobs Douwe Egberts global Marketing Internship in Netherlands 2018. 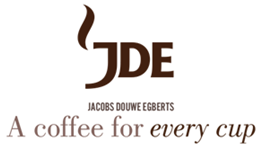 At JACOBS DOUWE EGBERTS, they are inspired by their belief that it’s amazing what can happen over a cup of coffee. Their heritage dates back to 1753 when Egbert Douwes started selling coffee, tea and other items that belong to ‘the daily joys of life’ in a small grocery store in Joure, The Netherlands. In 1895, Johann Jacobs opened his first grocery store in Bremen, Germany. They believed that everyone deserves the coffee they love, no matter who you are, where you are, or how you take it. With this, they offer you a job of being the Global Marketing Intern for their company. In your role as Global Marketing Intern, you will work within the global marketing team on the development of brands from a global perspective. • Major has strong links with one or multiple of the following areas: Business Economics, Strategic Management and/or Marketing.